This page contains instructions and even a printable butterfly design to use in making your own version of this lovely butterfly birthday card. Make this simple, yet elegant, card to convey birthday wishes to a special family member. Fold the 8.2 inches x 5.6 inches marbled card stock crosswise in half to create a card 5.6 inches x 4.1 inches ~ use the ruler to make the fold neat and smooth. With the fold at the top, center and glue the 5.4 inches x 3.7 inches piece of dark purple paper to the front of the card. Take the 5.2 inches x 3.5 inches of marbled card stock and cut out the inside, leaving a space of 0.5 inches from the outer edges of this piece to make a "frame". Glue the light purple paper to the back of the frame. Center and glue the frame to the front of the card. Glue purple ribbon all around the frame, where the card stock ends and the light purple paper starts. 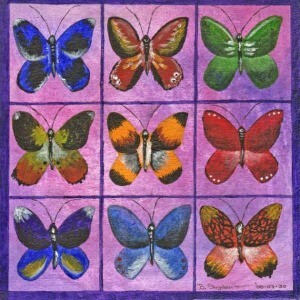 Glue the two butterflies to the front of the card, and add two bristles for each butterfly. The bristles will be the antennae. 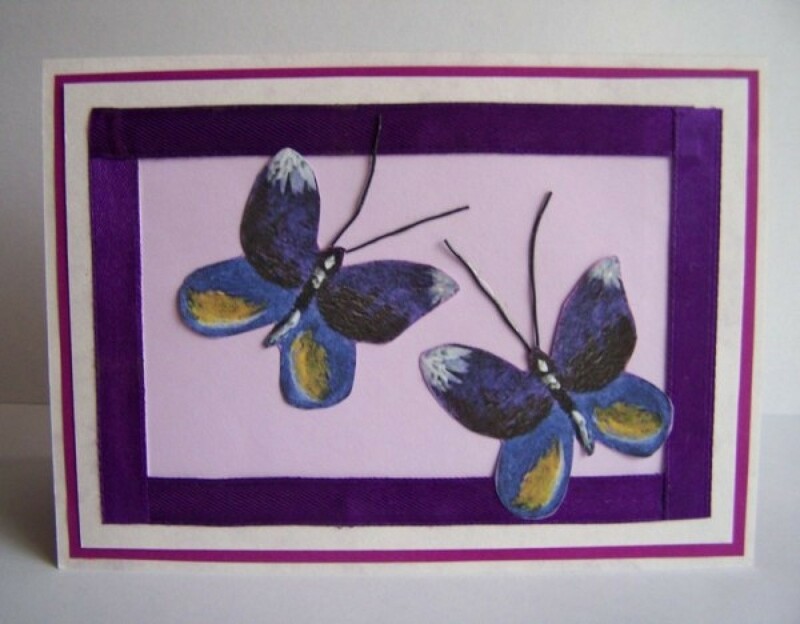 Fold the 8.0 inches x 5.4 inches dark purple paper crosswise in half and glue it to the inside of the card to write a message. 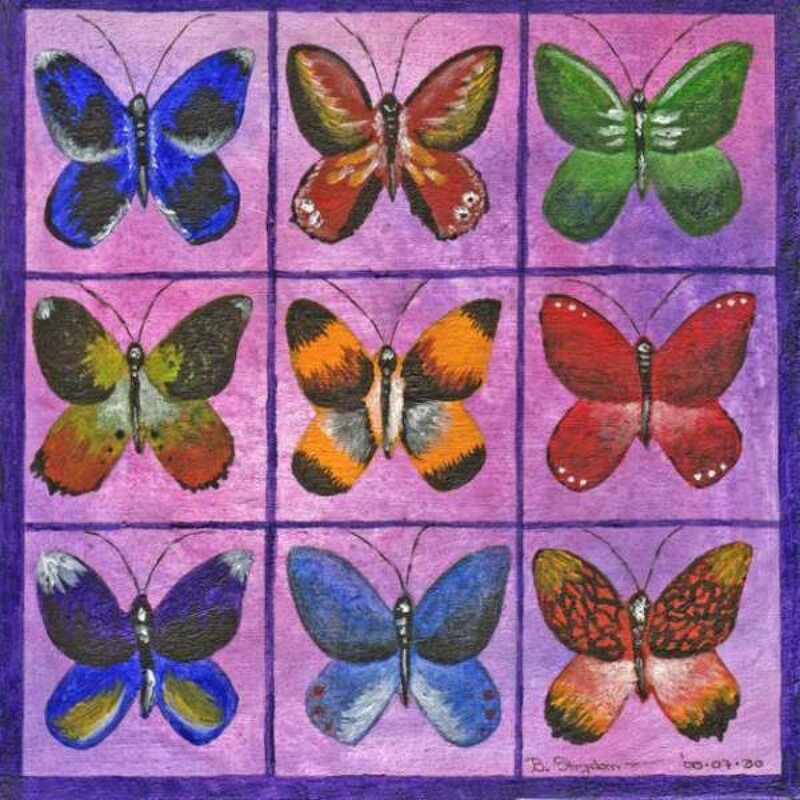 The butterfly design used for the card.